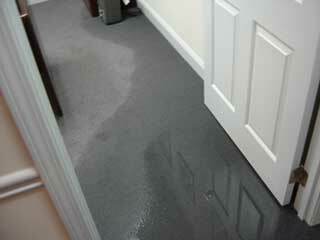 Imperial County CA » Blog » Water Damage Restoration » Is My Water Heater Leaking? The signs have been there for days. The completely inadequate amount of hot water. Washing the shampoo out of your hair with cold water. The weird puddle by the water tank. All warning signs of an imminent disaster. Before calling in a professional plumbing service, you can determine if the leak is actually from the tank itself, rather than as a result of condensation or other sources. Having hard evidence will usually catapult a homeowner into action. If the water heater is electric, then the first step that needs to be taken is to take off the cover on the top and the cover beneath that. These covers can be heavy, so I had a family member assist me. The next step is to look for any obvious leaks. These leaks will take the form of actual puddles in one or two locations, rather than a thin layer of condensation all over the heater. If there are leaks, then there’s a problem with the water heater. If no leaks are found, the next place to check is the base of the water heater. Push lightly on the bottom so that it bends in slightly. If water comes out, then the bottom of the heater has water in it, meaning that there is an internal leak. If the water heater is gas powered, then the burner needs to be taken off so that the cover at the bottom of the water heater is able to be accessed. If there is standing water in the area beneath the cover, then there is an internal leak within the gas water heater. The water is probably leaking out of the tank and running down the sides, where it pools at the bottom. So You’ve Got A Water Heater Leak. Now What? If you find any standing water within the cover area of either of these types of water heaters, then it’s leaking. It is very difficult to fix a leak in a water tank without consulting a professional, so I highly recommend having a professional at least come look at the leak. A professional plumbing company will be able to determine whether or not the leak is going to force the water tank to need to be replaced, or if a patch can be applied. Once a professional has been called, turn off the valve to the main water supply to reduce the amount of water in the tank. Then, turn off the source of heat, regardless of if it’s electrical or gas powered. Allow the water to cool for several hours, and then begin to empty the water tank by attaching a hose and running the water out of the house, to the backyard or to a large water storage container. By determining whether or not a water heater is leaking, it is possible to catch the problem before it becomes overwhelming. Having the water heater maintained on a regular basis, at least once a year, is another excellent way to avoid leaks.